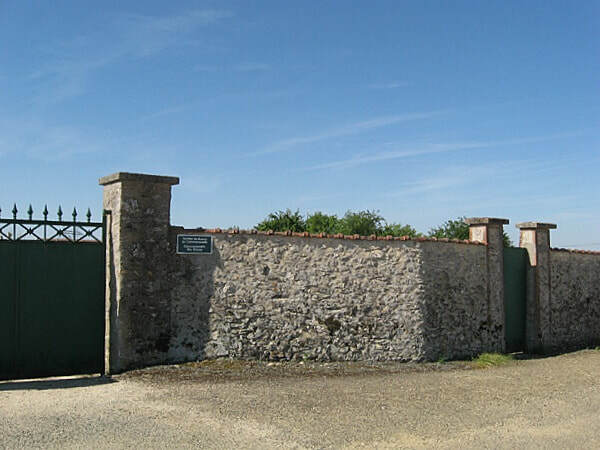 La Chapelle-Moutils is a village and commune in the Department of the Seine-et-Marne, 29 kilometres north of Provins and 8.2 kilometres east of La Ferté-Gaucher. On arrival at the village, take the Rue des Tilleuls heading south from the centre. 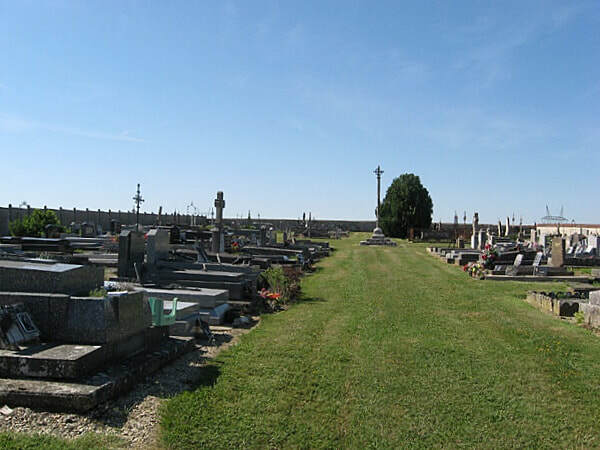 After 400 metres turn left and the communal cemetery is some 350 metres on the right. 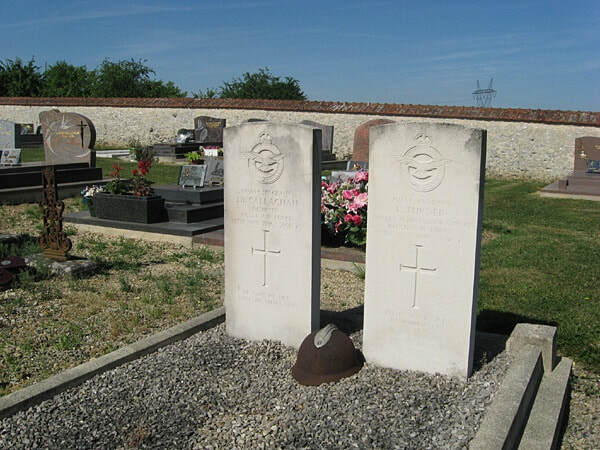 In the north-west part of the cemetery, near the entrance, is the joint grave of two WW2 British airmen from the United Kingdom. Incident: The aircraft crashed near La Chapelle-Moutils. The fate of the third crew member, Sgt. E. E. Hopkins is not known at this time. 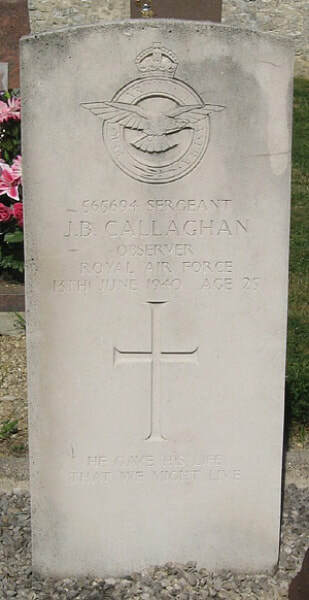 565694 Sergeant James Benedict Callaghan, Observer in 226 Squadron, Royal Air Force, died 13th June 1940, aged 25. Son of James Patrick and Annie Callaghan of West Derby, Liverpool. 751657 Sergeant Leslie Turner, Wireless Operator/Air Gunner in 226 Squadron, Royal Air Force Voluntary Reserve, died 13th June 1940, aged 21. Son of Willim Ashby and Lizzie Maria Turner; husband of Ellen Amelia Turner of Lewes, Sussex. INSCRIPTION. HE GAVE HIS LIFE THAT WE MIGHT LIVE. INSCRIPTION. LOVE'S LAST GIFT, REMEMBRANCE.